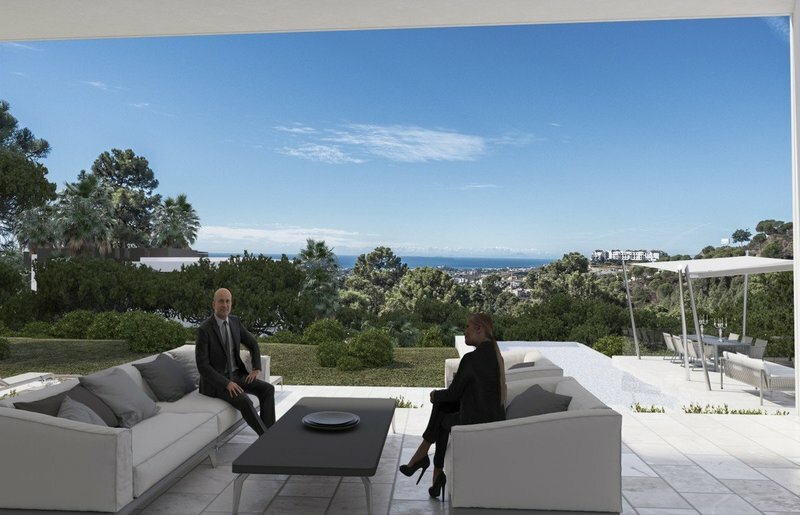 OUTSTANDING VIEWS AND A PRIVILEGED LOCATION! 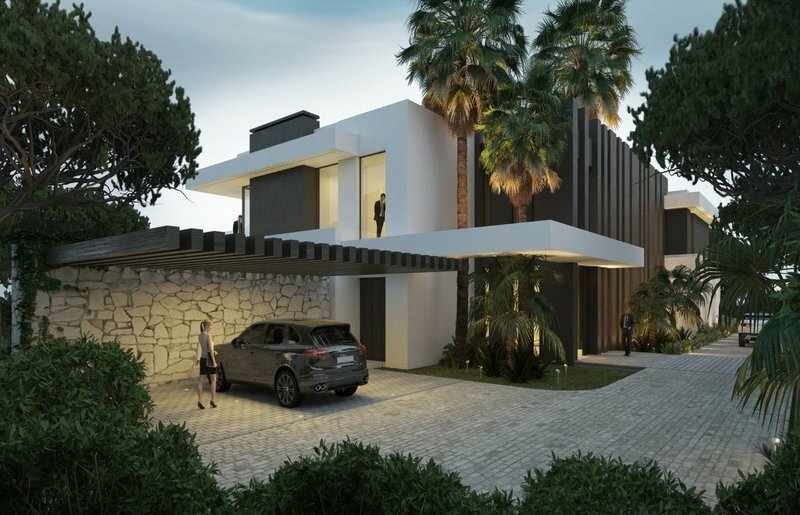 Bordering the exclusive gated country club of La Zagaleta, is this equally prestigious area at just ten minutes from the Mediterranean Sea and the luxury amenities of the coast. 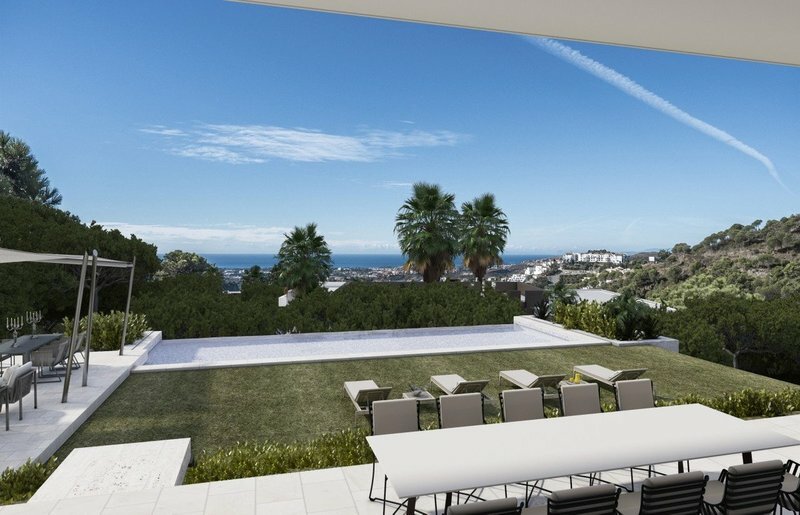 This select residential area is preferred for the privacy, space and fantastic views it offers – not to mention the open nature and feel of a rustic estate at such a short distance from Marbella. 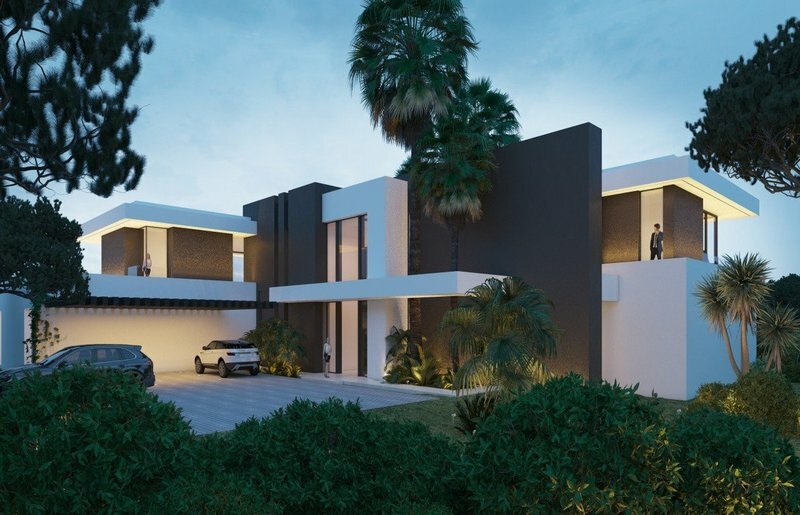 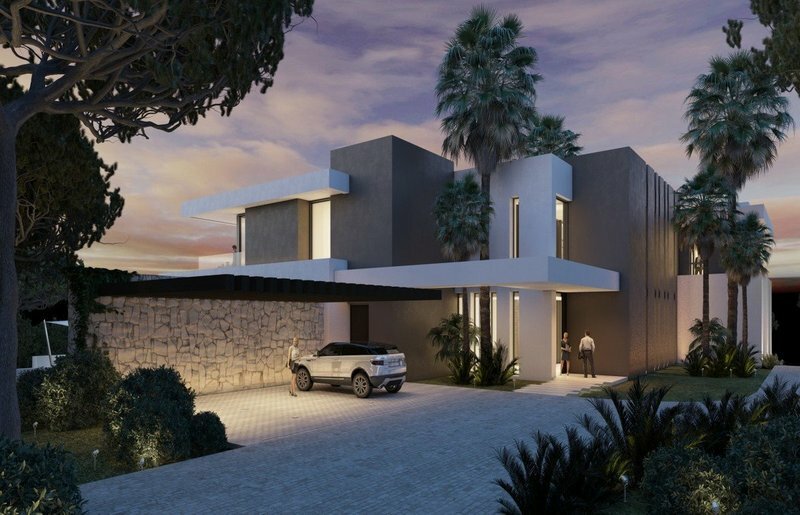 A privileged location consisting of expansive private estates: It is within this environment that these eight luxury modern villas are being build. 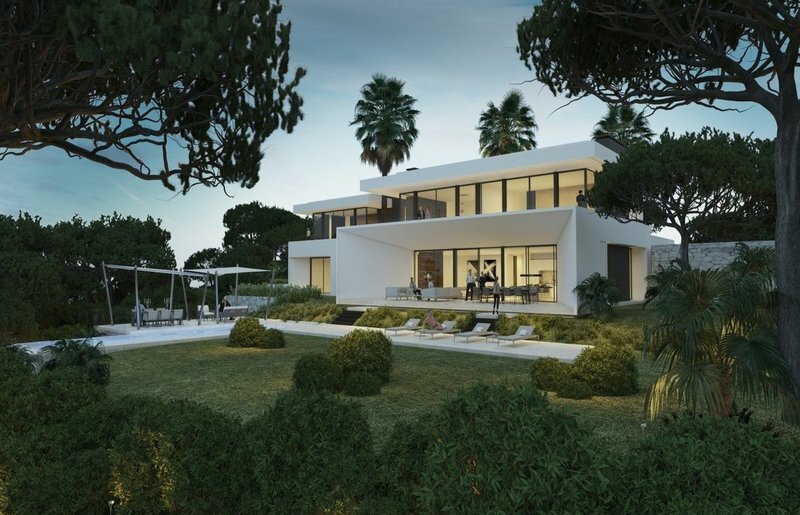 The architectural styling is designed to be harmonious, each villa has unique features and detailing, as well as its own uninterrupted sight of the sea: a prime location tucked into a gentle hillside that is sheltered by pine and olive trees. 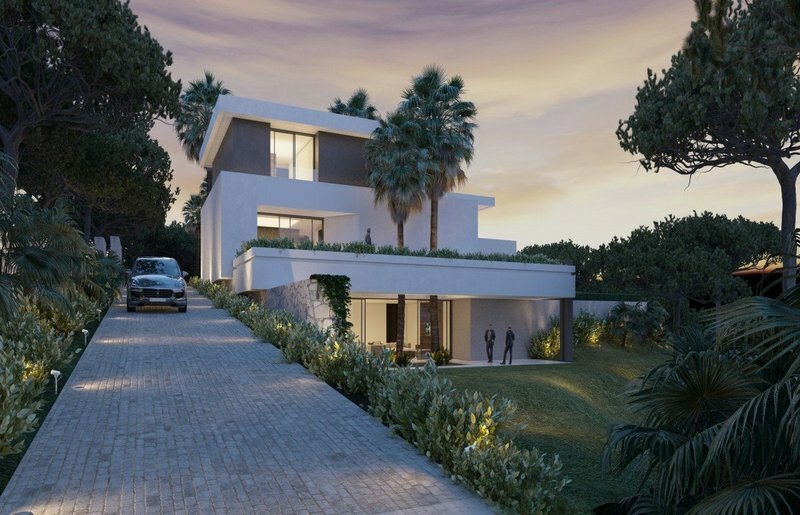 This private estate forms a cul de sac with no passing traffic, ensuring optimal tranquillity and security. 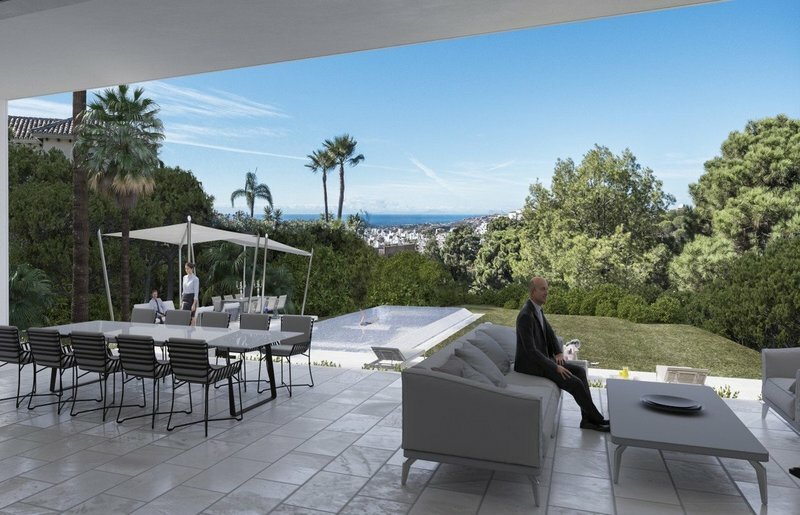 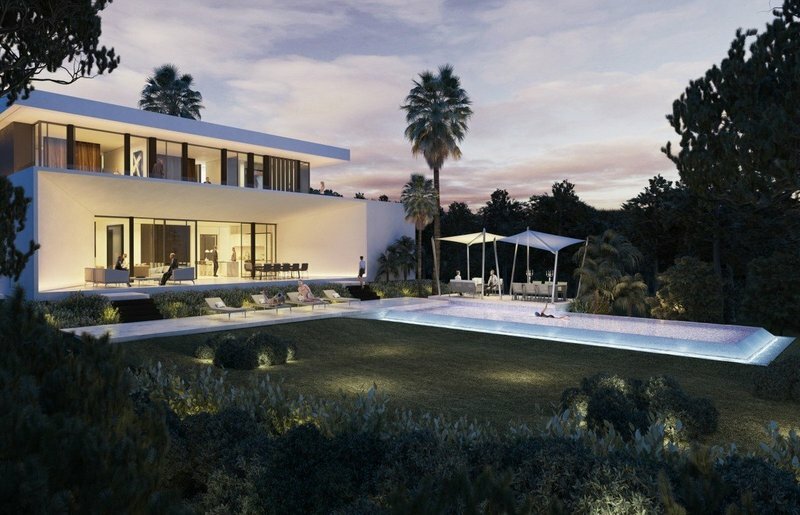 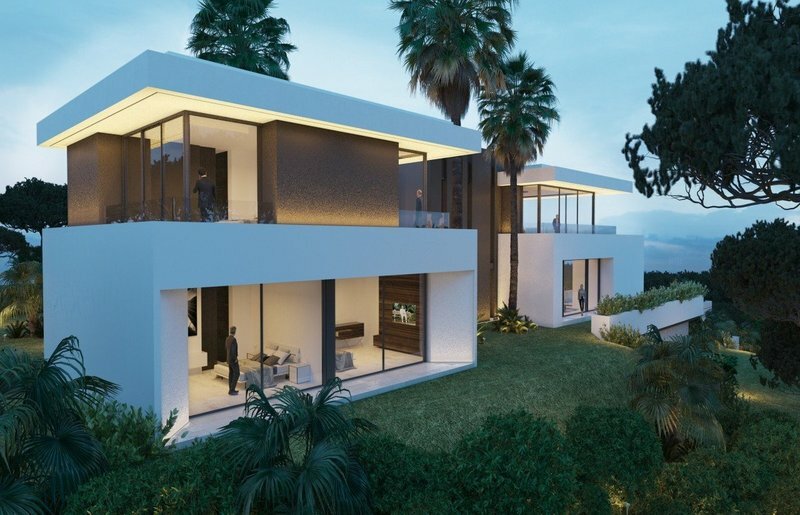 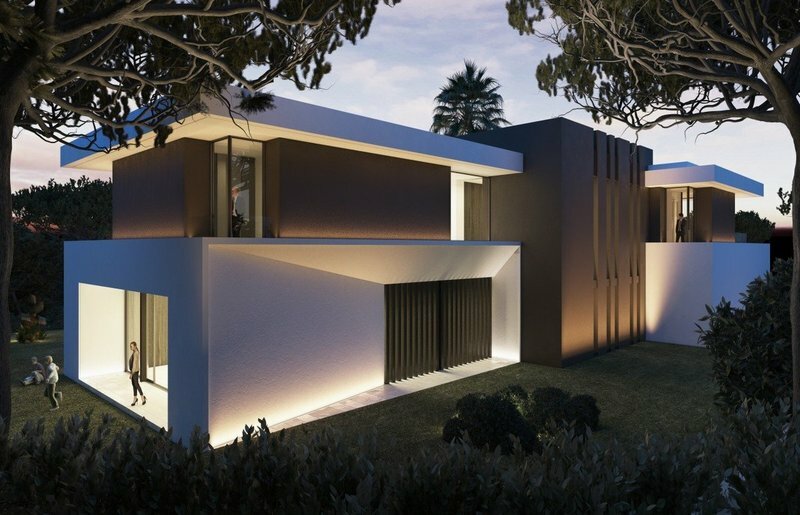 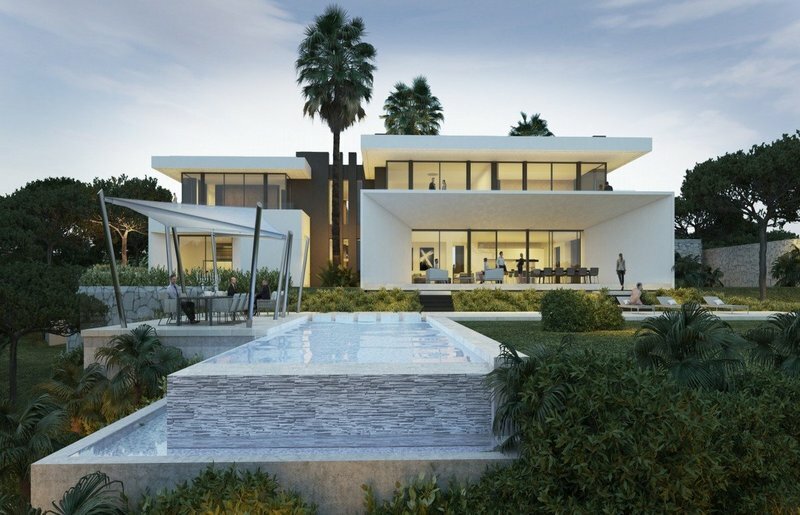 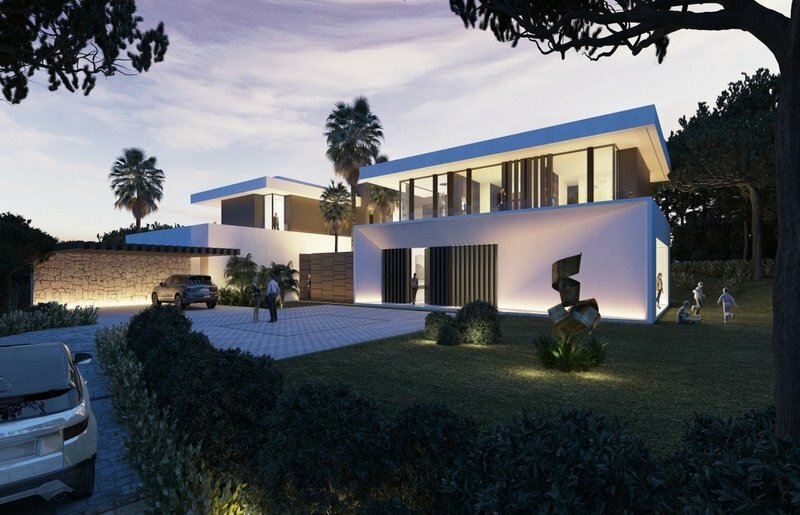 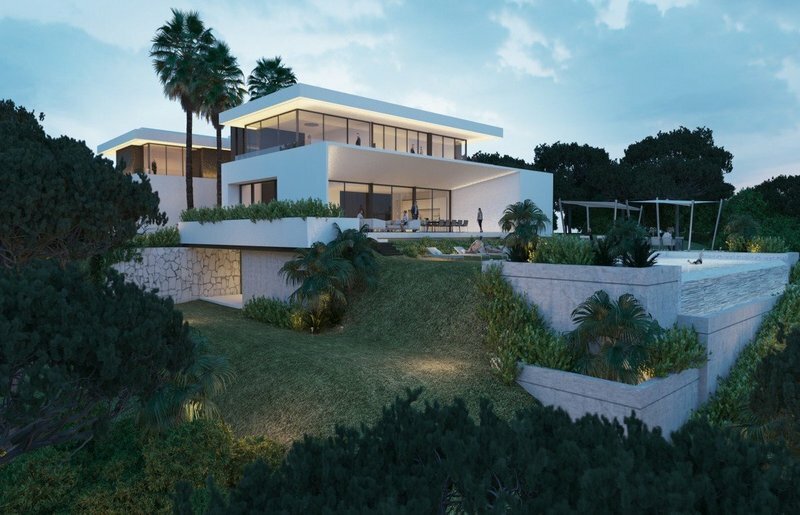 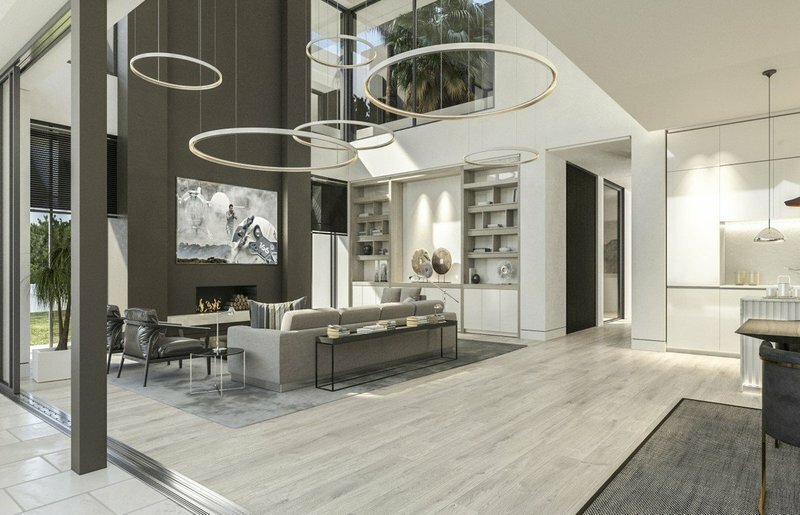 Wood, stone, sleek white plaster and tall panoramic windows form the basis of eight refined new villas located in one of the most desirable areas of Marbella. 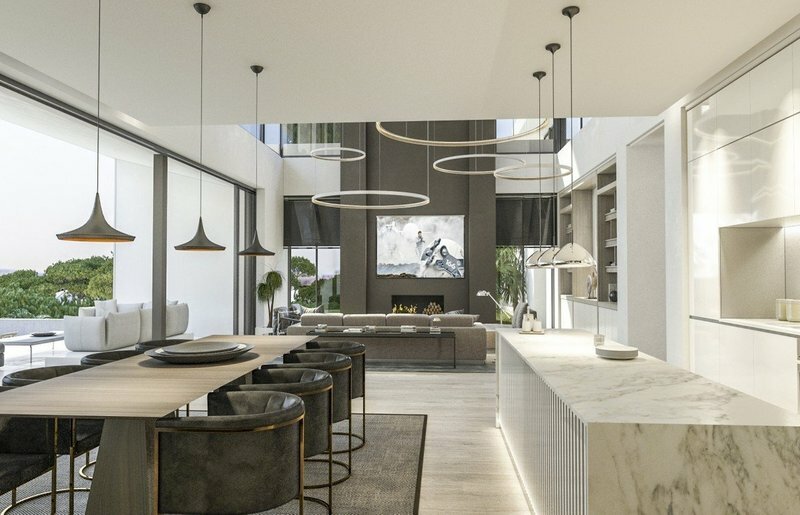 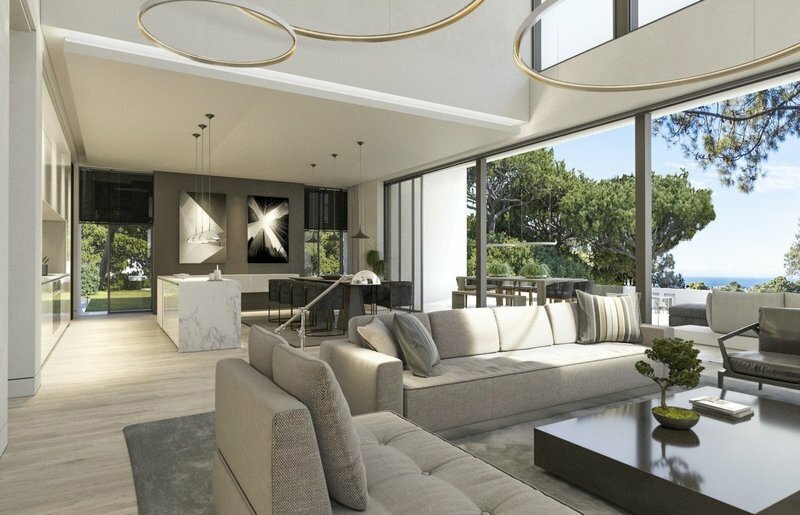 The properties measure between 800-900 square metres and are build on plots of 3,000 square metres each offering a variety of panoramic views to be enjoyed from the terraces and pool decks that connect with open-plan living rooms and kitchens to create one large lifestyle zone. 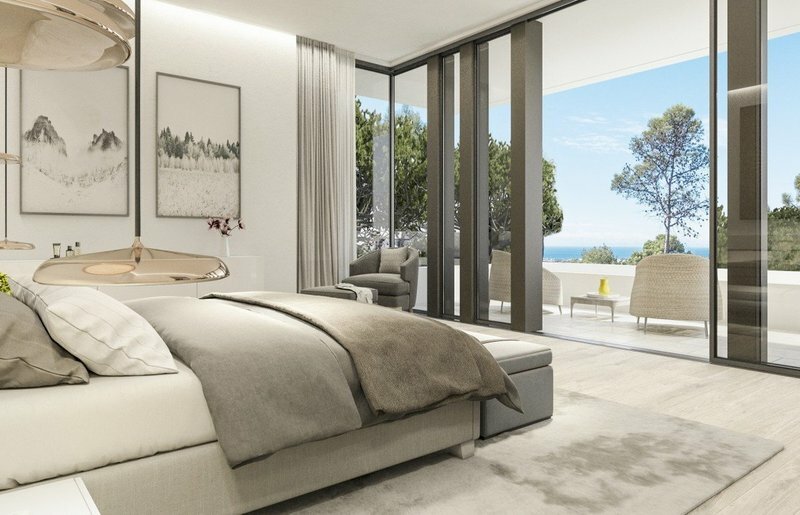 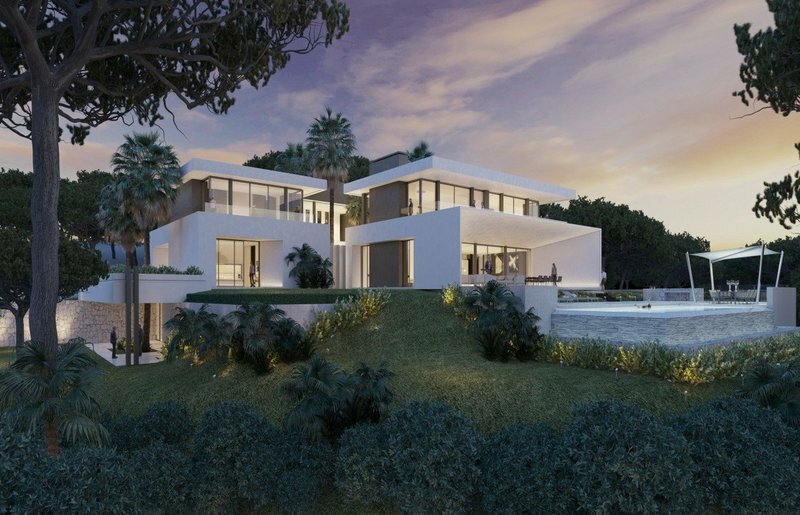 Six luxurious bedroom suites complete these modern style villas build with the finest materials to the best standards in a top location, making the residences among the most desirable new properties available for sale in Marbella.